Are we just a few weeks (or months) away from the Samsung Galaxy Sport? It looks like we have more evidence that a new Samsung smartwatch is incoming after details of a device with a familiar model number has been cleared at the FCC. Usually, when something turns up here, it's a pretty big indication that an unveiling or launch is nearing in the US. The product ID document mentions the SMR500 model number we've heard in previous leaks attached to a watch speculated to be codenamed Pulse internally by Samsung and could eventually be called the Samsung Galaxy Sport when it is officially unveiled. While there's no mention of that Pulse codename or that Samsung Galaxy Sport throughout the documentation, there are several mentions of a wrist device with Bluetooth, so these are still indications of a wearable device of some sort. It's likely to be a watch if you look at the model numbers attached to previous watches, but could well be a fitness tracker too. Although separate model numbers that appear to be tied to new trackers have surfaced over the last few months too. As far as speculation as to what this new watch that may or may not be called Samsung Galaxy Sport will do, initial rumours suggest it will include improved Bixby smart assistant skills, new sports tracking features and maybe even some serious health monitoring hardware too. Renders (above) based on based on factory data and third parties about the new watch appear to suggest Samsung will be opting for a minimalist look with two buttons. There also doesn't appear to be any sign of that signature rotating bezel. Could Samsung really be thinking about dumping this key feature. We sincerely hope not. 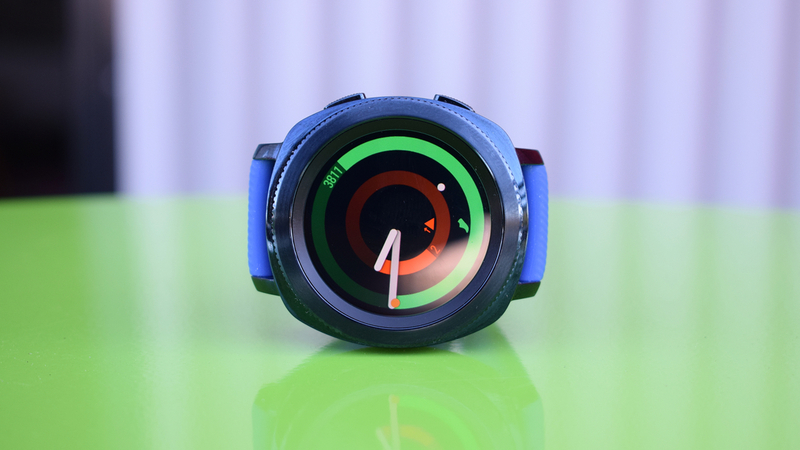 As to when we might see this new Samsung smartwatch, the Korean company has already announced an Unpacked event in February where we expect to be focused on its next flagship Galaxy smartphone. Maybe it'll be joined by a wearable too. Mobile World Congress is not far away either. We might not have to wait too long to find out exactly what Samsung has in store for us it seems.